Shri Laxmi Archcon is known for creating some of the most successful commercial & office complexes, residential flats, villas & towers, hotels, multiplexes and townships spread across the National Capital Region. This company aims to accomplish new benchmarks in terms of quality, in-time project completions with a blend of cost-effective and better service to its customers and investors. These strong values are what set them apart from other real estate companies in this sector and they inspire them to work harder and better, ensuring that all their projects meet their high standards of quality and are, in turn, widely successful. 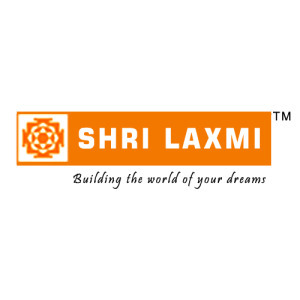 Shri Laxmi Archcon is an ISO 9001:2008 certified company. Some of their most widely known projects include Kaushambi Mall in Ghaziabad, Retailex in Indirapuram, Ghaziabad and Retailex in Vasundhra in Ghaziabad. These projects are known for the fact that they have fantastic location advantages which inspired investors to invest in them. They are extremely successful in the sense that they are frequented by a wide consumer base regularly and are surrounded by a large and viable catchment area. With years of experience under their belt, this is one company that understands how to cater to the needs of their consumers and build projects accordingly.